Two engineers in the Baskin School of Engineering at UC Santa Cruz—David Haussler, distinguished professor of biomolecular engineering, and Martín Abadi, professor emeritus of computer science—have been elected to the National Academy of Engineering for their outstanding contributions to the field of engineering. Election to the National Academy of Engineering is among the highest professional distinctions accorded to an engineer. Haussler, the scientific director of the UC Santa Cruz Genomics Institute, was recognized by the academy “for developments in computational learning theory and bioinformatics, including first assembly of the human genome, its analysis, and data sharing.” He is a pioneer in genomics research and an international leader in efforts to advance genomic medicine. 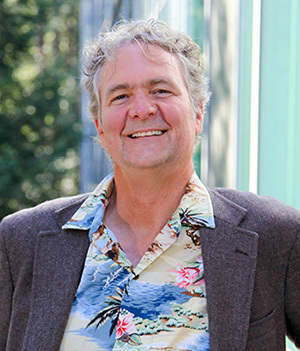 Haussler’s team, driven by then graduate student Jim Kent, posted the first publicly available assembly of the human genome sequence online in 2000 and subsequently developed the UCSC Genome Browser, a widely used tool for biomedical researchers. His group’s work in cancer genomics includes collaborations with cancer researchers at medical centers nationally on efforts to discover molecular causes of cancer and pioneer a new personalized, genomics-based approach to cancer treatment. A Howard Hughes Medical Institute (HHMI) investigator, Haussler has received many awards and honors for his work, including the 2015 Dan David Prize, the Weldon Memorial Prize given by the University of Oxford, and the ACM/AAAI Allen Newell Award. He is a member of the National Academy of Sciences and American Academy of Arts and Sciences and a fellow of the American Association for the Advancement of Science and the Association for the Advancement of Artificial Intelligence. Haussler joined the UCSC faculty in 1986. 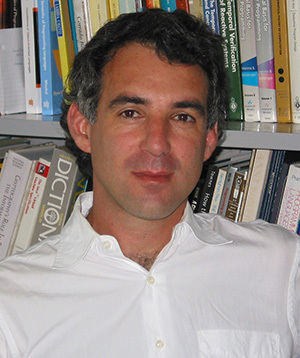 Abadi was recognized by the academy “for contributions to the formal theory of computer security.” His research on computer and network security, programming languages, and specification and verification methods includes contributions to the design and analysis of security protocols and to the foundations of object-oriented programming languages. A fellow of the Association for Computing Machinery, Abadi has been recognized by the ACM Special Interest Group on Security with its Outstanding Innovation Award and by the ACM Special Interest Group on Operating Systems with a Hall of Fame Award. Abadi joined the UCSC faculty in 2001 and retired in 2013. He is currently a principal scientist at Google.